Here at Sms-and-Phone.com, we have integrated a Referral-Bonus system for our members for helping their Family, Friends and Business Partners save money on their phone bills. We do not charge any additional fees, for becoming an independent Agent of Sms-and-Phone.com like others. With your membership of sms-and-phone.com you are automatically eligible to receive referral earnings! Free members earn for direct referrals and Pro-Members earn additional 7 Levels below their direct referrals! In order to receive referral earnings, you only need to register with sms-and-phone.com and you will then be able to login to your account, where you will see your own referral link of sms-and-phone.com that you can send to your Family, Friends and Business Partners, in fact to all of whom you know, they are calling other Countries frequently, to help them save money by calling over 50 Countries free. With your sms-and-phone.com referral link, you have your own sms-and-phone.com website with your unique referral-ID. if you want to help others to save money on their long distance phone calls, simply send your unique referral link with your referral-ID and you will see them in your back office within the members area as soon as they have registered. Once they have upgraded to Pro-Member by paying the one-time subscription fee in order to enjoy Free International Phone Calls, and their payment is cleared(within 24hours), you will see your earnings within your sms-and-phone.com account. When you are a free member and you have not upgraded yet, you will earn referral commission only for your direct referrals. As soon as you upgrade your account to Pro-Member, you will start to earn commission on referrals in 7 Levels below your direct referrals according to the table below. Additionally. You will receive for every new Customer, which are referred by your Referrals between $1.00 - $5.00 through 7 Levels. The example above is based on referring 5 new members throughout 7 levels(every person within your 7 Levels, helps at least 5 people to become a member of Sms-and-Phone.com). Earnings calculations are subject to your and your Referrals efforts for helping others to save money and referring new members to Sms-and-Phone.com. You can calculate the above example with any other number of Referrals for your own possibilities, or according to the number of people you know and can help them to eliminate their phone bills. Referral Earnings are Paid two times per month, one between 15th and 20th and end of each month between the 1st and 5th for the past two weeks. Additionally, you can also request a payment from your back office (members area) as soon as you have a minimum of $50.00 on fridays between the two payments. You can select your commissions to be paid via Paypal, Alertpay, Moneybookers or Wire instruction. for Wire instruction, you will need to have at least $250 commissions earned). Register for your Sms-and-Phone.com membership and enjoy calling your Family, Friends and Business Partners free, by getting paid for it and building your business with Zero-Effort! 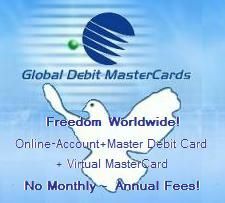 Register above to access your Financial Freedom Today!